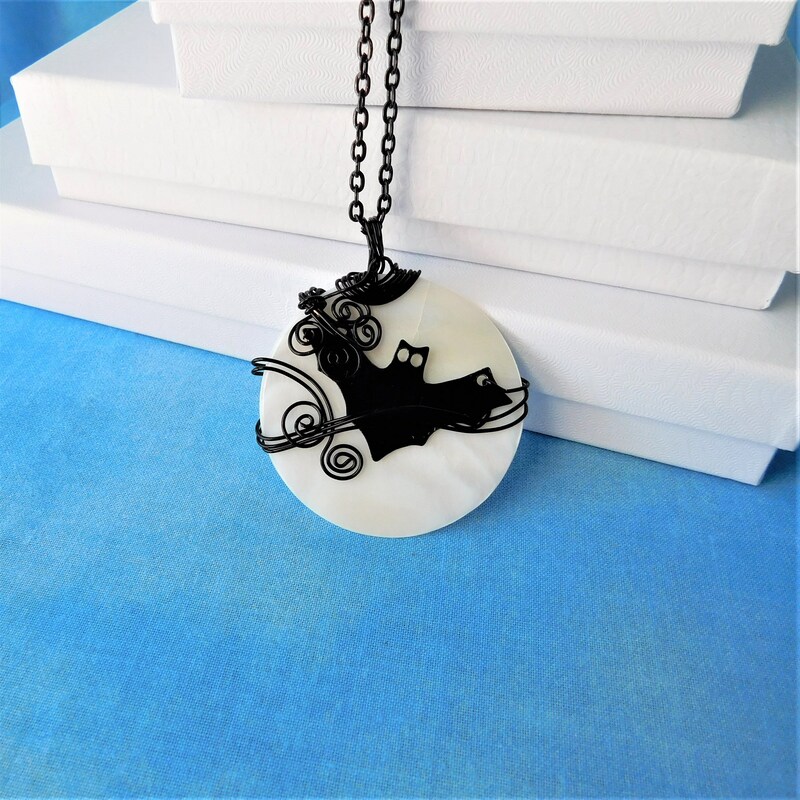 A black bat silhouette flies across the night sky, casting it's shadow against a full moon. 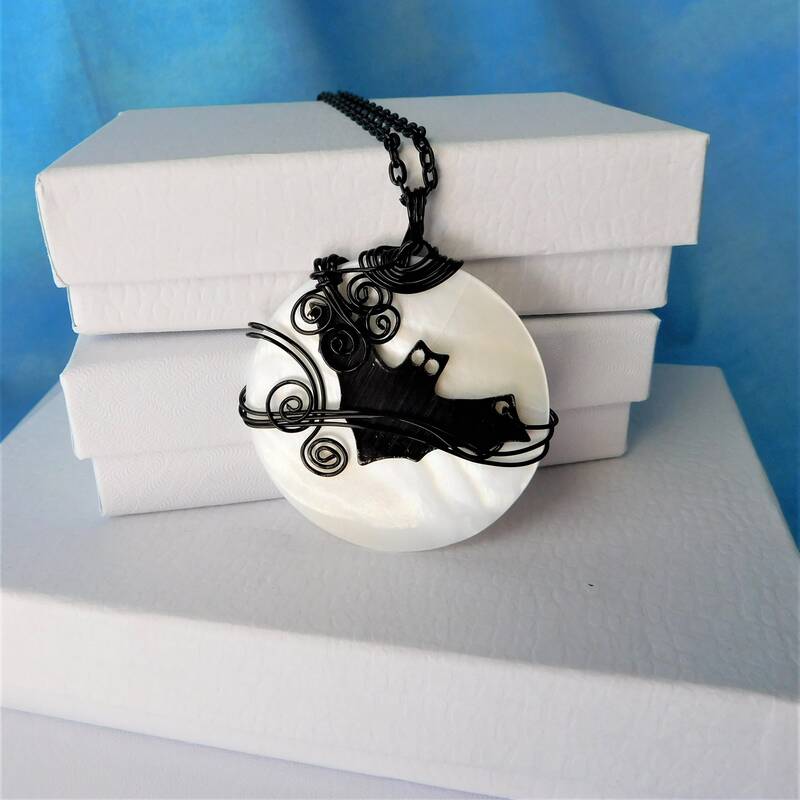 The moon is a 2 inch round mother of pearl disc, and the swirls of black wire are non tarnish copper. 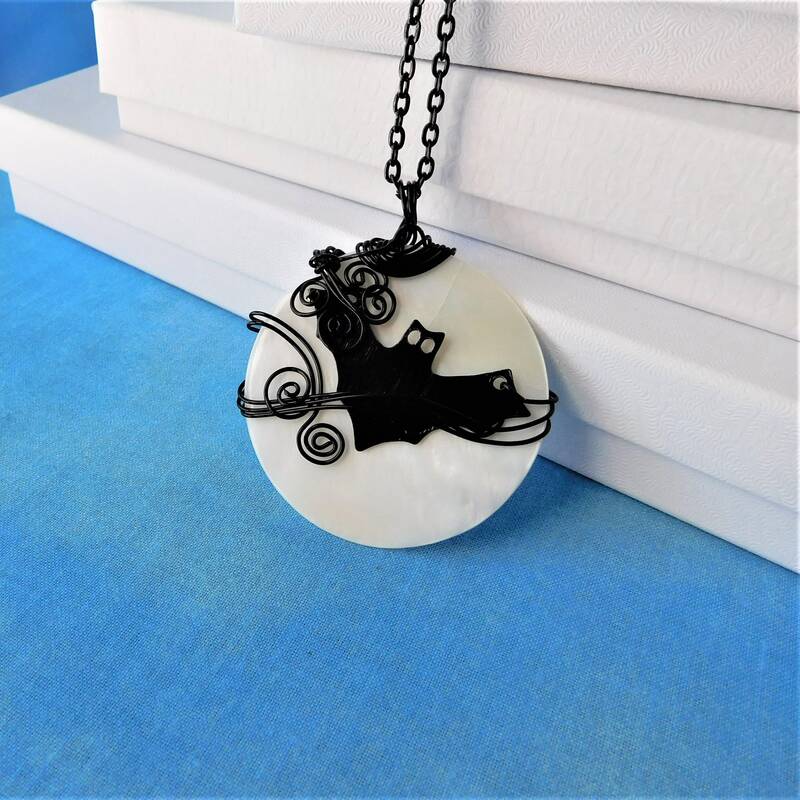 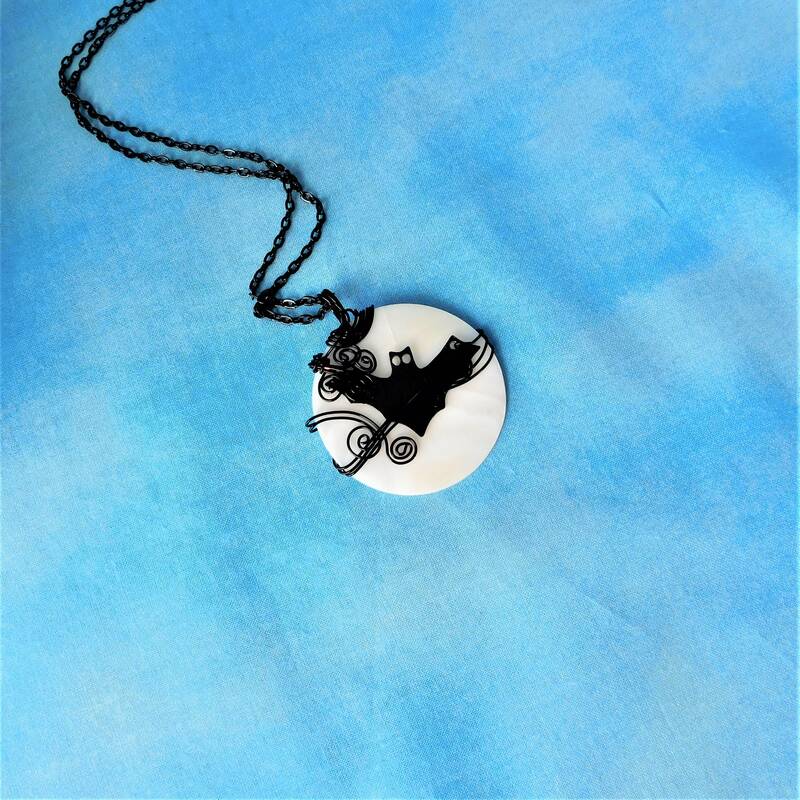 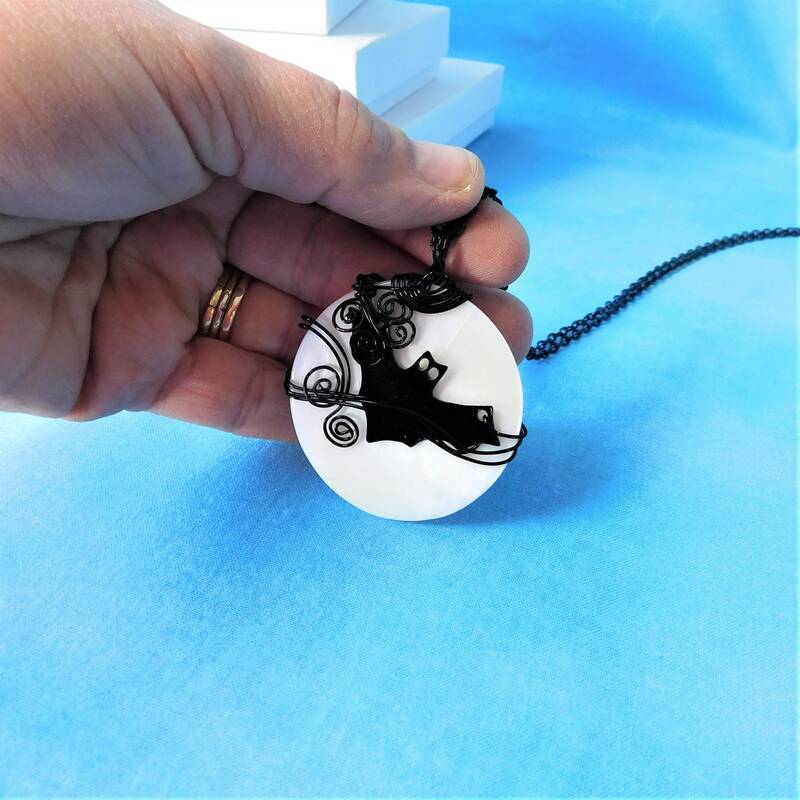 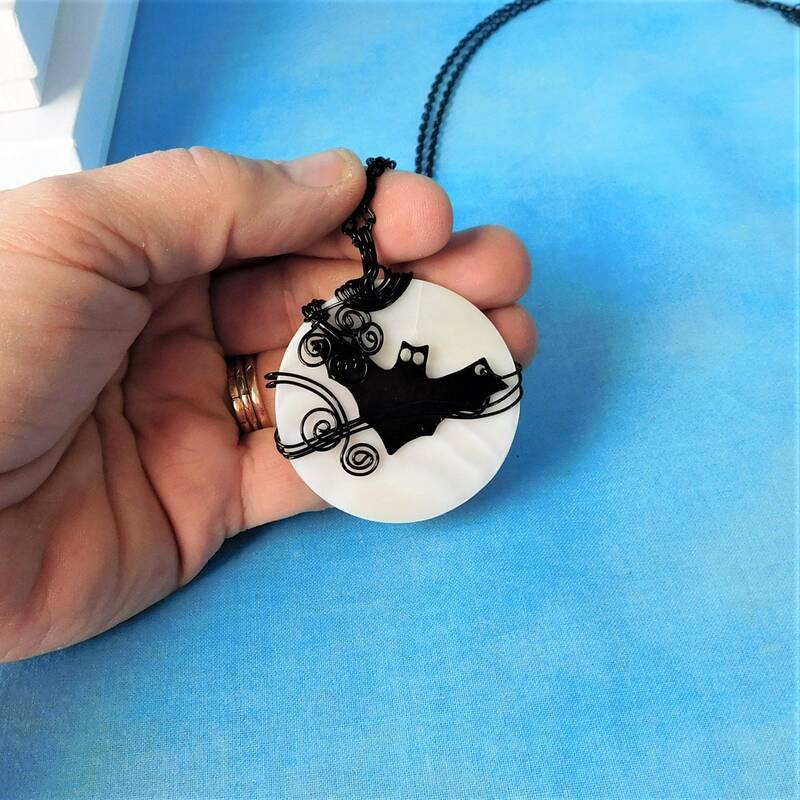 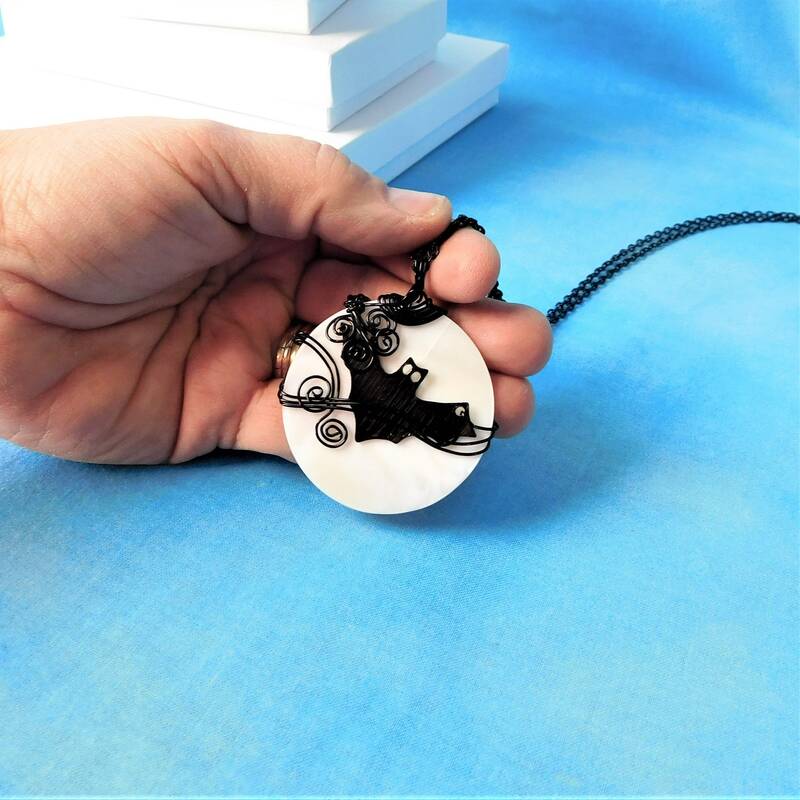 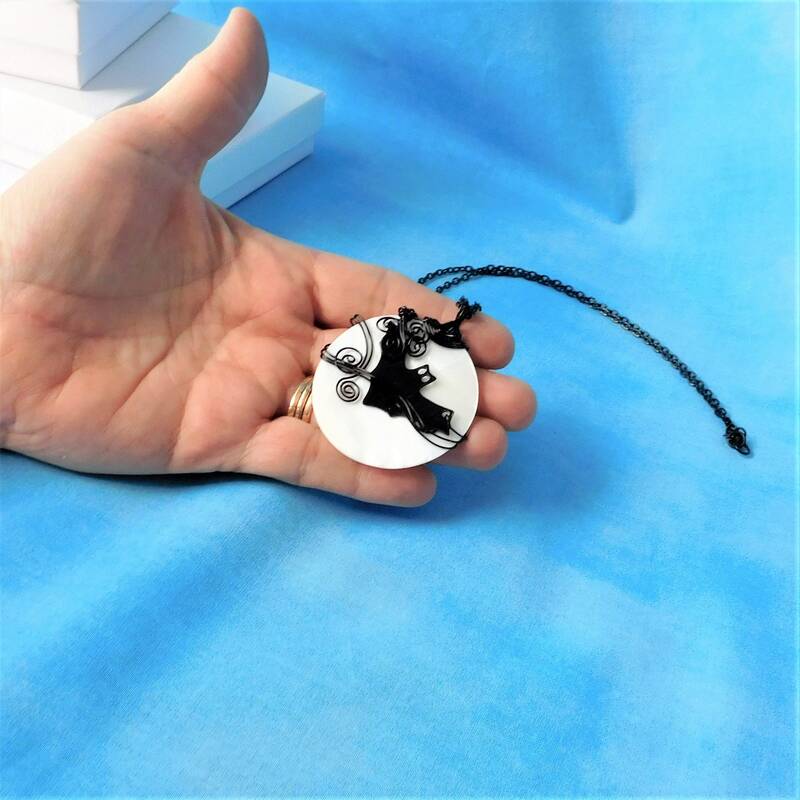 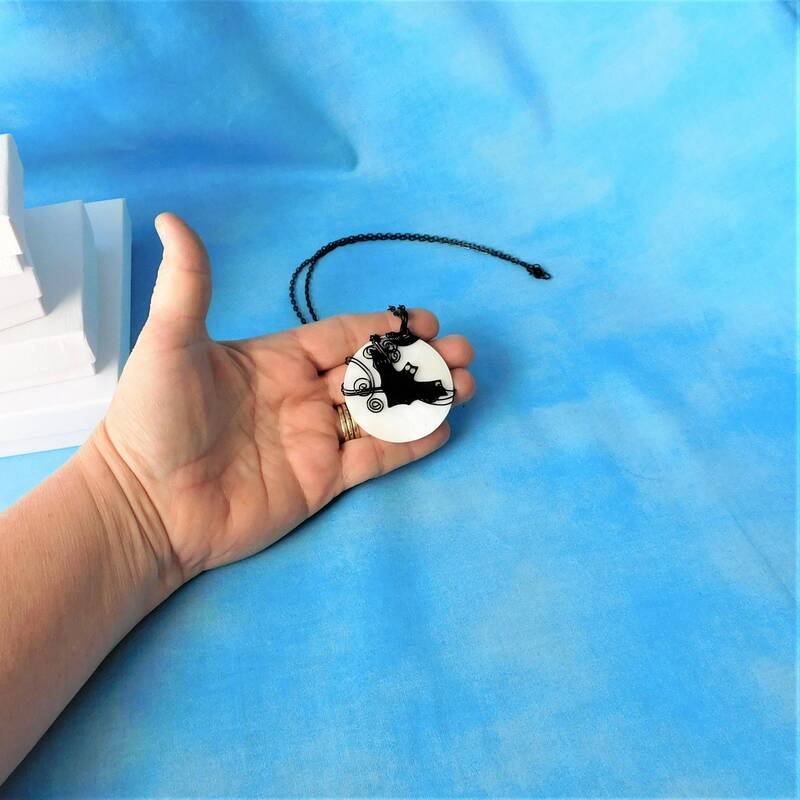 This unique and fun pendant is a one of a kind work of art that is destined to be an eye catching conversation piece for Halloween, or any occasion you choose to wear it. 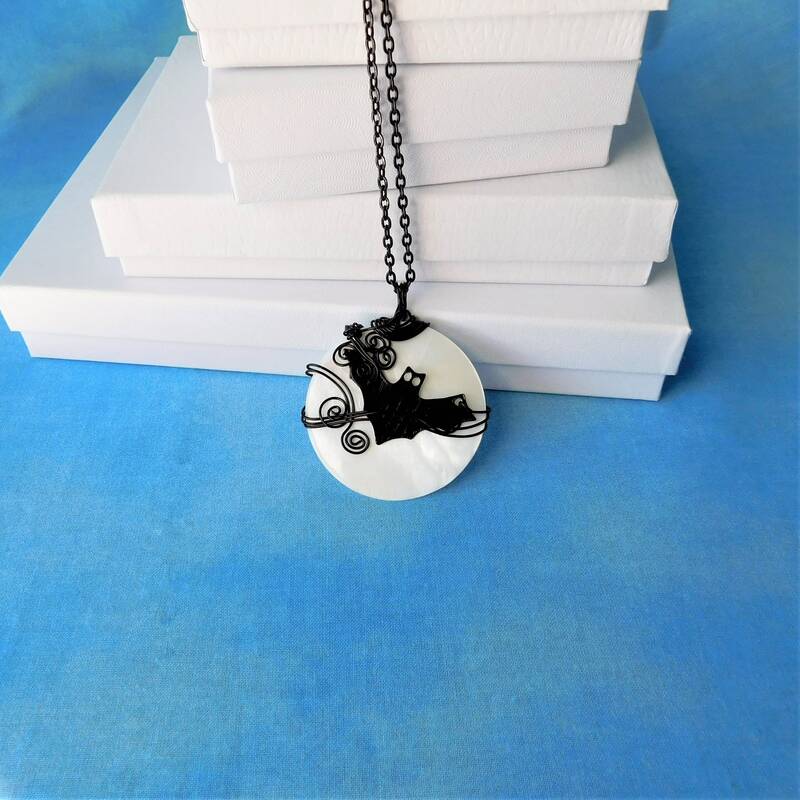 This unusual pendant comes with a coordinating black metal chain with lobster claw clasp, measured to your preferred length.